The event takes place in a village located in the adventurous route to the discovery of Camellia plants in this adventurous route you can visit the gardens, parks and historic mansions of which the province of Lucca has in abundance: the experimental plantation of tea camellias , present since 1987 created and designed by Guido Cattolica, famous for three particular varieties of tea, now produced; Do not miss a visit to the “Camelietum Compitese” or an entire park dedicated to Camelia, a botanical garden that brings together about 10% of the species Camellia existing in the world, considered very “Ancient Camellias of Lucca”, some of these species in the park are no longer commercially available. 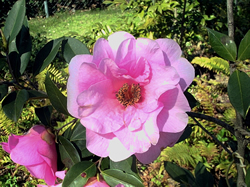 Continuing along this itinerary “Ancient Camellias of Lucca” you can visit the “Scientific View of the Flower Cut flower” of considerable importance to the event. 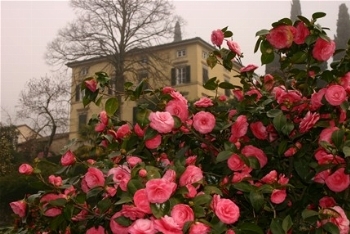 In this event also the Boboli Gardens in Florence does its part by exposing its camellias along with those from Dresden – Germany. Do not miss this event at the Scuola Superiore Sant’Anna of Pisa, which will bring more than 70 plant species typical all with exposed sheets of various plants to educate visitors to respect nature and to recognize native plants of Capannori. To celebrate “the event” Ancient Camellias of Lucca “our bed and breakfast in Lucca give to all its guests on holiday at this time of a seedling camellia sign of gratitude for having chosen to stay for this event in our bed and breakfast.